Seeing as part 5 was made quite a long time ago and it's become a bit jumbled, I decided to make a part 6! Hero Portraits are courtesy of https://dungeonboss.wikia.com/wiki/User_blog:Crimson_Kid/Unused_Hero_Portraits. Thanks @Crimson_the_Kid! This hero comes in every color, except light, so it's hard to speculate what it might be. It's wondered if it's an early Agnon or a legendary demon. The counterpart to what became Drakk, this hero could be either a future member of the Barbarians or the best way to kill them. Who knows? 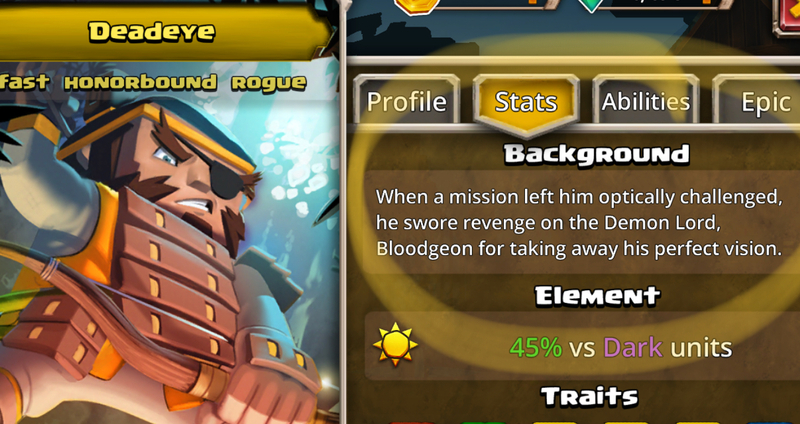 Not much is known about this hero, other than it looks like a fire rogue. Comes with both a Jerry male and Yasmin female variant, the villagers to me looks less like a hero and more like a classic NPC. Looking less likely to be a hero and more likely to be an EPIC boss, given the dungeon boss board game, but it's still cool. I don't have much to say on this one, save that it looks like it's possibly related to Sulfurious in some way. Likely the opposite of dragonwarrior, and/or an early Ferno. That's everything I can find! Anyone else have any ideas? "Seaside, you forgot one of the more famous unreleased hero! What about the Witch Doctor? I didn't forget about it, I just chose to ignore it. Based off of comments and when it was leaked, it's likely just an earlier Lord Zomm. Yeah but we've already seen bloodgeon. He was the final boss in the Deadeye story arc during the event. He was the one that was a fire Shogun Hansuke. I’m sure all unreleased heroes may one day become real heroes. It happened to Hopper and Zen, and Drakk. The designs may be updated though. How about those 4th Hero portraits? I recently saw the Bat's 4th portrait, which is basically Torchy and his Epic appearance, but yellow. Also, I might just update that user blog of mine, seeing as some things developed and are worth mentioning. @hudson1520 I’m sure you do! It's taking some time as I'm revising what I describe to be more formal and where I stick to the facts with a hint of some extra fun info. Now, I guess we can cross out the green model as Jibber Clenchjaw is gonna be introduced as a Light Hero. Looks like Jibber can be taken off the list (finally)!